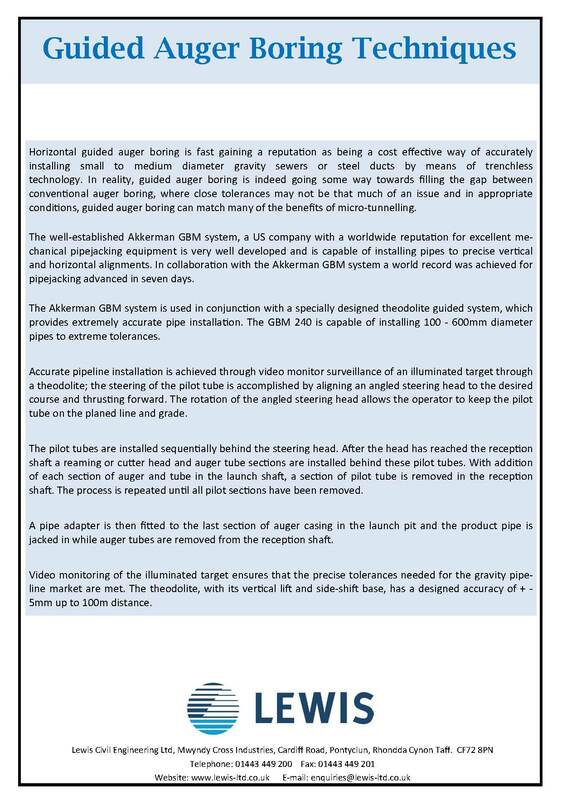 Over the last 30 years we have seen the development of new technology to meet the increasing demand for the replacement of ageing systems. 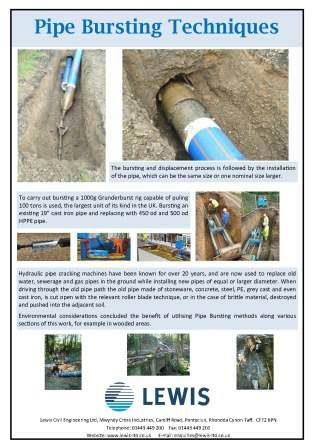 Pipe Bursting plays an integral part in replacing existing pipe with the minimum trenching. 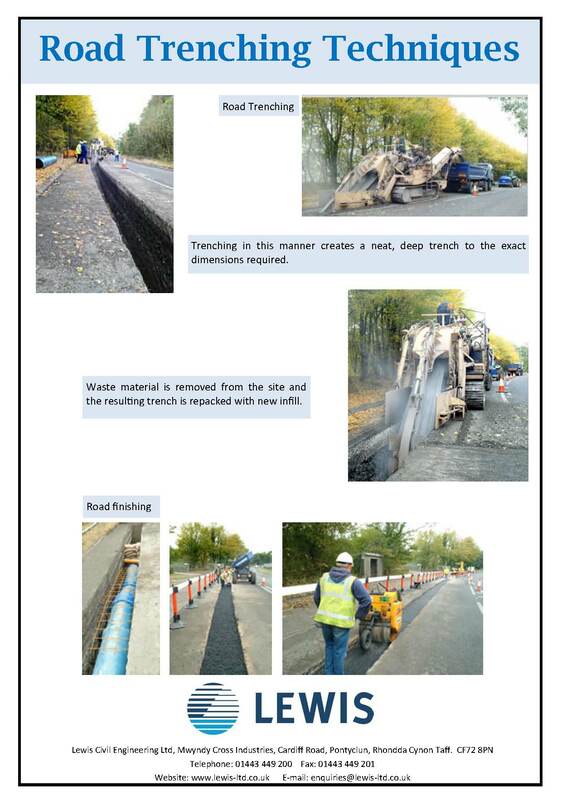 Using a specially designd machine road trenching can become much more time efficient and less disruptive to surroundings. 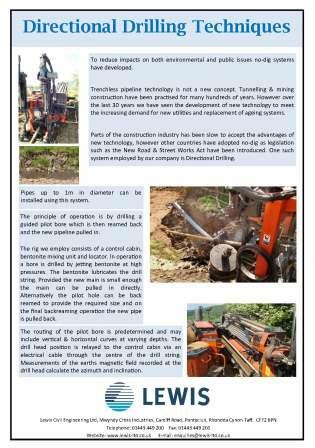 Horizontal guided auger boring is fast gaining a reputation as being a cost effective way of installing small to medium pipework by means of trenchless technology. 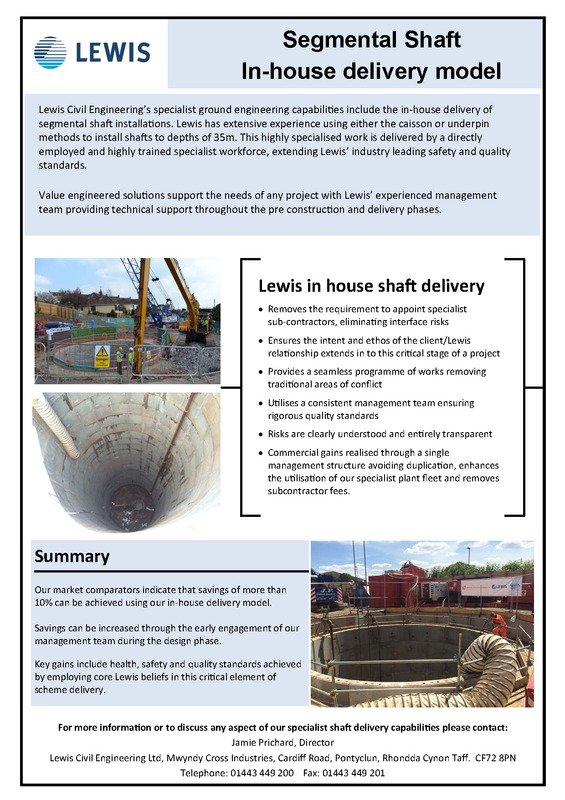 Lewis Civil Engineering’s specialist ground engineering capabilities include the in-house delivery of segmental shaft installations.